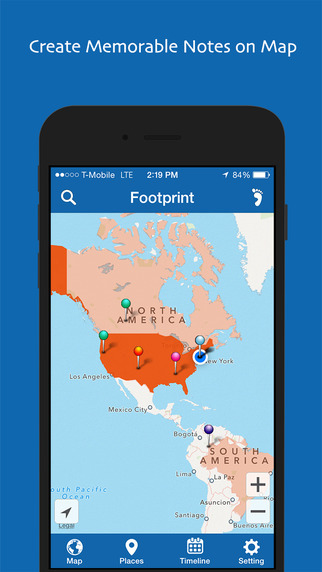 "Footprint - Where I've Been" is a beautifully designed map app to record the place you have been. 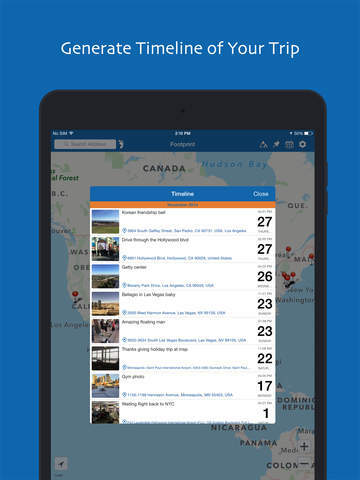 Simply check in where ever you go around the world, adding notes and photo to the map as you travel. The heat map shows the frequency of your visits and is customizable - set the heat map to render in a color of your choice. 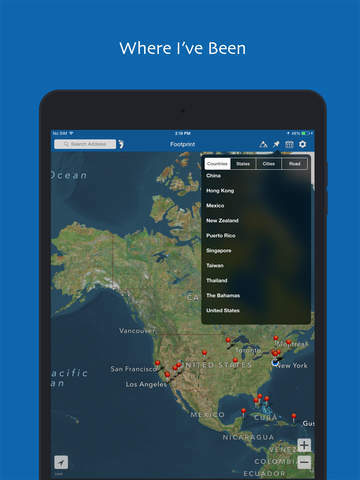 Multiple map sources are available. The Offline Sync technology lets you check in at any time, anywhere in the world. Even without internet or data service, you can still check in at your current location and then update your coordinate address later when an internet connection is available. 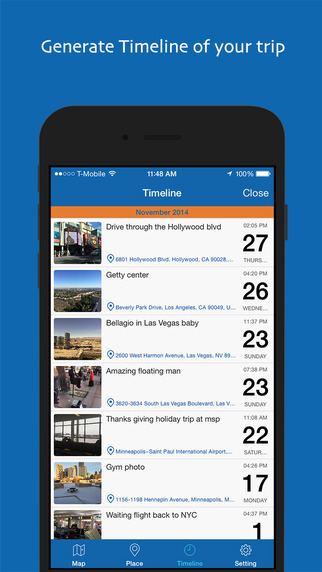 Automatically generate timeline of your trip. iCloud synchronize is available for different devices. Download the app and start check-in!